The Mittals quickly moved on — and up. They belong to the Marwari caste, well-known in India for being traders and moneylenders who figure prominently in the leading business houses of India. The family left for Calcutta, a center of Marwari activity, where father Mohan Mittal became a partner in a steel company. Lakshmi graduated with a business degree from the élite St. Xavier’s College in 1969 and joined his father’s firm before branching out on his own. “He was very strong in numbers,” recalls Sisir Bajoria, a fellow Xavier’s student. Mittal split from his father and two younger brothers in 1994 for reasons they don’t discuss. He took the international arm, with interests in Indonesia and Trinidad and Tobago, and the rest of the family kept the domestic Indian business. Since then, Mittal has left the other side of the family behind. Over the past five years he has made about 20 acquisitions, buying up a network of steel producers in former communist countries including Kazakhstan, Romania and Ukraine, and pushing into the U.S. in 2004 with the $4.5 billion purchase of International Steel Group. His empire now has more than 175,000 employees and spans the globe. Last year, he set up shop in India for the first time, agreeing to build a new factory in the northeastern state of Jharkhand. With business success has come wealth and opulence. He acquired the Kensington mansion, said to be the world’s most expensive home, from Formula One racing’s Bernie Ecclestone two years ago. And in 2004, he and his family made headlines around the globe when he threw a $50 million wedding bash for daughter Vanisha. It included an engagement ceremony at Paris’ Tuileries Gardens featuring parrots and a tiger; an opera and banquet at the French royal palace at Versailles; and a Kylie Minogue concert and sit-down dinner at the 17th century Vaux le Vicomte Chateau, where chefs from Calcutta served 1,000 guests on china monogrammed with the initials of the bride and groom, hers in pink, his in blue. Luxembourg-based Arcelor, Europe’s biggest steel company, measured by revenue, which was formed in 2002 out of what was left of the French, Belgian, Luxembourgian and Spanish steel industries. Mittal, 55, the Indian-born chairman of the world’s biggest producer of steel, Mittal Steel, called Dollé, the chief executive of Arcelor on 26th January, 2006 on his mobile phone at Frankfurt airport while he was checking in for a flight to Toronto. 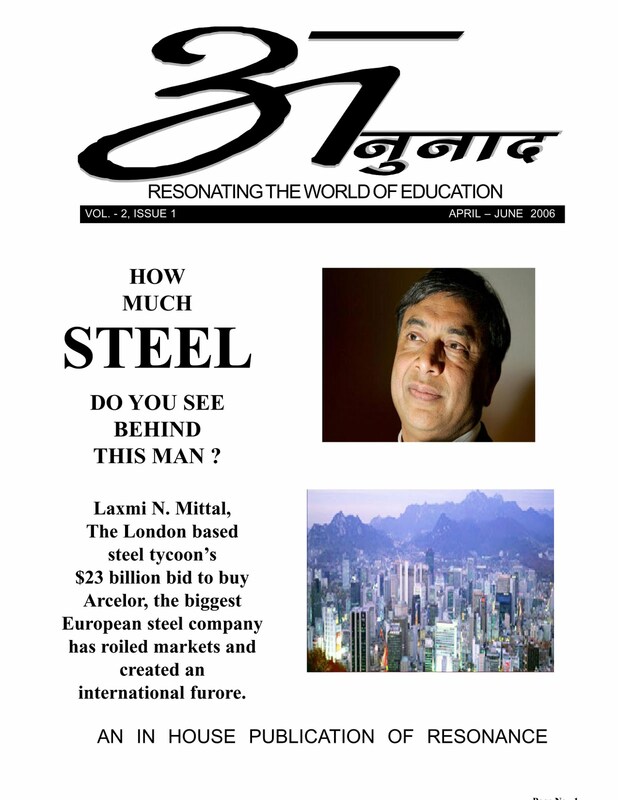 The message: Rotterdam-based Mittal Steel would be announcing a formal $22.6 billion takeover bid for Arcelor – one of the largest hostile bids in European history. Mittal’s move was viewed as a rough attempt by “new” India to take on “old” Europe. France’s Finance Minister Thierry Breton accused Mittal of having “a grammar problem” and the Prime Minister of Luxembourg, Jean-Claude Juncker, declared: “This hostile bid by Mittal Steel calls for a reaction that is at least as hostile.” Dollé worked hard to encourage public opposition, dismissing Mittal as a low-grade operator specializing “in buying up obsolete installations at low cost.” Mittal himself insists that the deal amounts to the merger of two European companies to create a stronger one. “The rationale for merging is very strong,” he says. French president Jacques Chirac stuck to his stand that “the hostile bid has been made contrary to practice, with no prior explanation and no reason given, on a large Europian company. Mittal’s bid could still be derailed. Financial markets bubbled over with rumors that Arcelor was looking for a rescuer, possibly a Japanese firm who would put in a higher offer, although no such “white knight” had emerged, on the scene. Mittal also needs to convince investors that his bid, which consists mainly of Mittal Steel stock with some cash, is good for them. Mittal Steel has what many see as a financial weak point: its corporate governance structure, which locks in Mittal family control. Lakshmi’s son Aditya, 29, is president and ceo of the company, and his daughter Vanisha, 24, is also on the board. The family’s current holding of 88% of Mittal stock is set to drop to just above 50% if the deal is concluded. But the Mittals will continue to have a big controlling majority because of a dual stock structure. While he’s a hero in his native country, Mittal has been moving fast to counteract attempts in parts of Europe to paint him as a villain. He spent most of the time shuttling in his private jet from European capital to European capital, including three trips to Paris, to explain his motives and promise he wouldn’t cut European jobs. Governments have limited formal means to stop the Arcelor deal, as 85% of the company is traded freely on the stock market. Nonetheless, they and labor unions can make life hard for Mittal, who still needs to get E.U. antitrust clearance for the deal. The irony of this fight is that Mittal and Dollé both share a similar vision about the future of steel. Both are trying to build themselves up as Europe-based global titans, believing that a worldwide consolidation is necessary to bring stability and sustainability to a volatile industry. Mittal has long argued that the industry’s future will brighten if several huge players emerge from the scrappy pack of smaller firms. No wonder he’s grinning. This is a man who probably smiles in his sleep. Steel tycoon Lakshmi Mittal has warned Luxembourg against adopting legislation that would foil his plans to acquire European steelmaker Arcelor, a deal he said has the backing of up to 60% of Arcelor’s shareholders. “I am confident about the Luxembourg government that they would not take any such action to amend the law which could frustrate the transaction,” Mittal said. “Luxembourg is a financial centre and I am sure they would not like to see any kind of concern in the financial community which could disturb them.” His remarks came two days before the finance committee in the Luxembourg Parliament is to consider an amendment to legislation governing corporate takeovers in the country, which – at 5.6% – is the leading share holder in Arcelor. Authorities in Luxembourg, along with those in France and Spain where Arcelor is also active, have voiced opposition to Mittal Steel’s 18.6 billion euro hostile bid for the European producer. The amendment under consideration in Luxembourg would require a company launching a takeover bid to make a 100% cash offer if at least 25% of its capital had not been listed on the stock exchange for the year preeding the overture. If the measure were adopted it could prevent Mittal, which has only 12% of its capital quoted on the stock exchange from carrying out its bid for Arcelor. Its current offer would be 75% via an exchange of shares and 25% in cash. Despite the acrimony on display, Mittal says he remains “good friends” with Dollé. “I admire him as a leader. It’s nothing personal.” But dinner is dinner, and business is business. The boss of European steel company Arcelor said a hostile takeover bid by global giant Mittal Steel is doomed to failure because most Arcelor shareholders are against it. Guy Dolle said his soundings froma flurry of meetings with Arcelor stakeholders of meetings with Arcelor stakeholders left him confident of beating off the controversial $23 billion raid launched in January by Mittal,”I’m convinced that the huge majority of shareholders whom we have met, given the current terms, will not offer up their shares, “he said.”In the current conditions, the offer will not succeed,”Dolle insisted. Arcelor directors began a world tour of meetings with shareholders of meetings with shareholders last week that has taken them to Milan, Amsterdam, London and Paris, and now to Chicago. Dolle said he had met with investors representing 80% to 90% of shareholders in Europe. Institutional investors in France and US control 20% each of Arcelor’s stock. Those in Britain hold about 15% and another 15% is controlled by funds in the rest of Europe. Dolle will report back to an extraordinary meeting of Arcelor board on Friday. Arcelor, which comprises former national steel interests in France, Luxembourg and Spain, can also count on state support as it battles to fend off the takeover bid by Mittal. The Spanish government said it had received details of the takeover plan from Mittal steel but judged the information to be “insufficient” to alleviate doubts about the operation. Dolle said the board would be obliged to review matters if Mittal raised offer of $33.87 a share, a step that the company has ruled out taking. “But for now, there is neither a sufficient offer nor an industrial plan,” the Arcelor boss said. he said Arcelor would be a “cash machine” over the next three years with strategic plans to generate 13.2 billion euros in free cash flow with any excess cash being returned to shareholders.